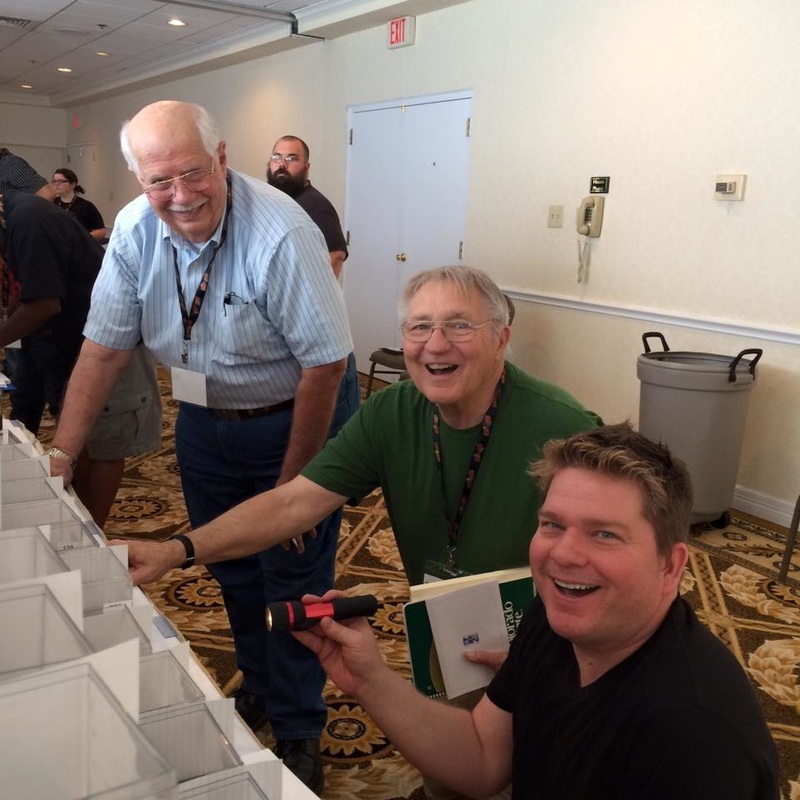 What Does it Take to Become an IBC judge? This is where I will display our show results from all the shows that I send to, as well as write show reports for the ones that I am able to attend. Click on the button to find out how to send your own fish to the show! If you take it one step at a time, it's pretty easy! I had a blast at the convention in Indianapolis! I was also able to visit one of my best friends from High School while I was there, which made it extra awesome! I didn't take as many pictures this time as I usually do since I was busy socializing and judging :) Many of these picture were taken by others at the convention as well. Thanks guys! We also set up a hashtag for convention this year! Check out #IBCConvention on Facebook and Twitter. Awwwww love this photo :) Martin is a new judge! He went through trial by fire with Rich and Phil! I accidentally created the full show report in the regular blog section (having two blogs on one site is a little confusing lol). Weebly still doesn't have an easy way to move blog posts from one to another (or maybe I just can't find it). Please follow the link to the actual show report! Apologies for the mix-up! 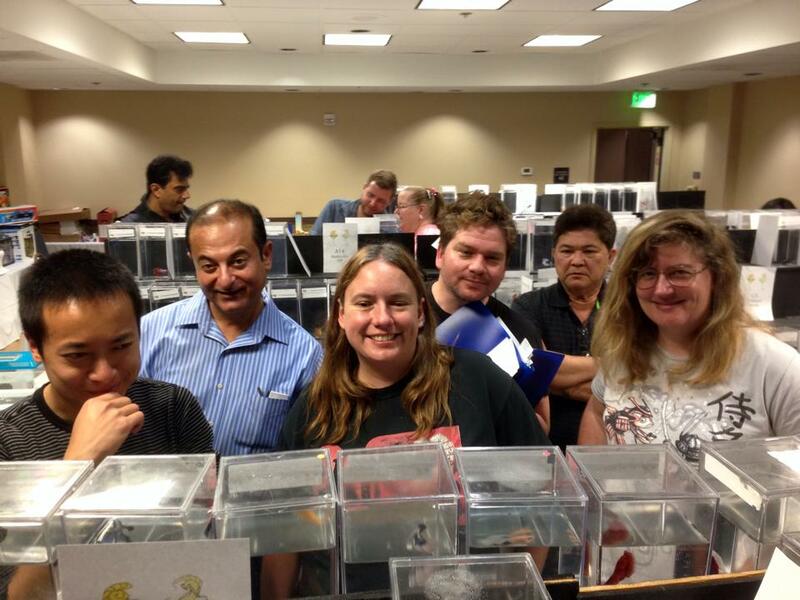 California Betta Society Fall IBC Show 2014! We had a wonderful show this past weekend! Lots of good looking fish, and of course our core group of awesome CBS club members :) I am grateful for being a part of such a wonderful club! It was also the very first show that I officially judged! One worrying thing was the small number of entries. 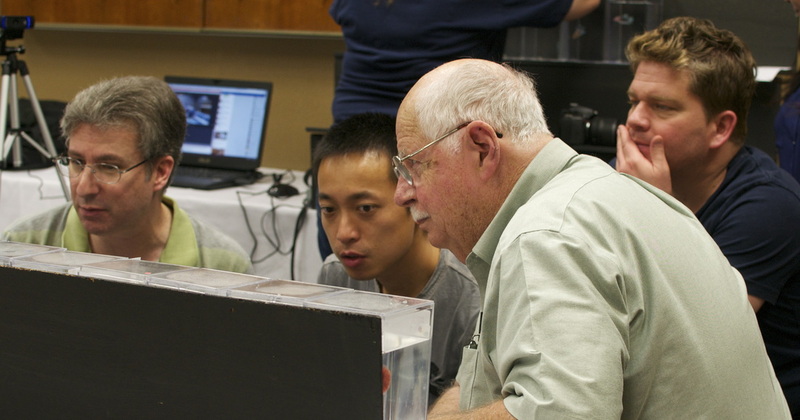 We had only 160 fish show up, which is roughly half of our normal numbers. People, send your fish! It's the only way that we can keep putting on our shows twice a year, one of the few clubs able to do so. We are in serious need of fundraising before our next show, which we hope to put on during the spring as usual. 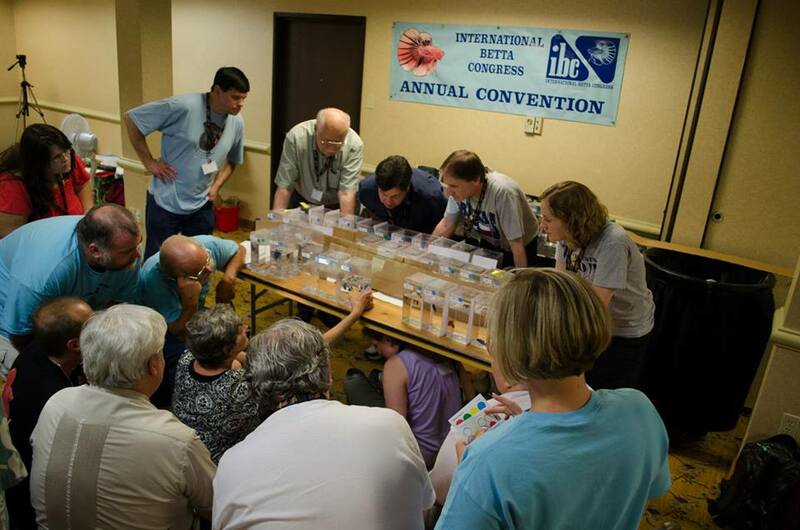 My local California Betta Society hosted the 2014 Internatoinal Betta Society Convention several weekends ago, and wow! I think it was a complete success! Sorry for the delay - I had to recover from the excitement, as well as attend a wedding, so compiling all the pictures has taken a while! Convention is wonderful in so many ways. It is the culmination of the show year, and many breeders send their best fish to this last show in order to make room for next year. There are seminars, workshops, stock shops, silent auctions, live auction...but the best thing to me is getting to talk with some of my dearest Betta friends. We are spread far and wide, but we are by far the best fish keepers (in my humble opinion...please don't eat me cichlid people!). 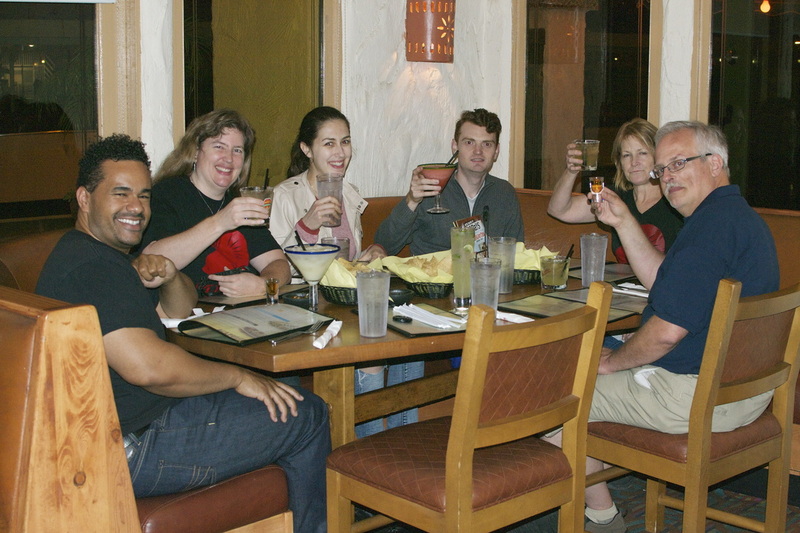 I wish I could see my friends all the time, but then Convention would not be as special. What a whirlwind! Great end to the show! GSB is awesome! Kampffishfreunde IBC Convention in Friedrichshaffen, Germany! I'm so happy that I was able to come to this show!! I cannot wait to come back again. My goal is to be able to breed fish that can compete on the European as well as the US circuit :) I have been very inspired by this experience! California Betta Society Fall 2013 Show! Had a great time apprentice judging and showing in San Jose, CA! I was lucky enough to apprentice judge under David Spectre, one of the judges that made me want to become a judge in the first place :) I learned a LOT. Our fish also did really well in the show! 1) Figure out which fish you will be keeping, auctioning, or putting on the cash table. 2) Organize your fish by this order. 3) Put their numbers on their jars. 4) Figure out which number enters which division and class on the written sheet. Write them down in order. 5) Type in all of your information into the IBC entry form. Voila! David S. was kind enough to let me follow him around at all the CBS shows, and he really made me want to become a judge. Here is a video taken by Christine T. of David walking me through a female DT class at a show last year. Bettas are judged on how close they come to the IBC Standards. They are judged on a point system that is categorized by slight, minor, major, and severe faults according to the standard. The more points a betta gains, the more faults that they accumulate, and the less ideal they are according to the standard. The betta with the least amount of points (and faults) should win the class. Convention this year as in Irving ,Texas, right next to the Dallas, Fort Worth airport. 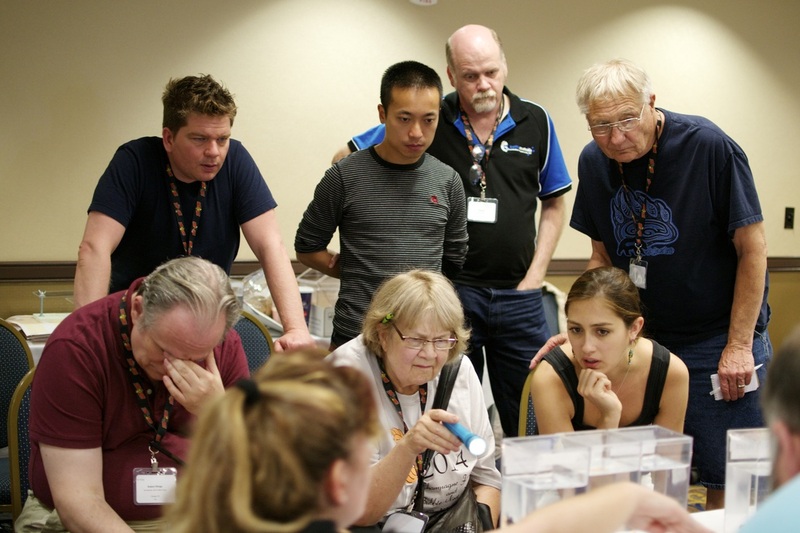 I am so happy that I was able to go and meet so many long time betta breeders from all around the United States and Europe! All the judges gathered for the BOV and BOS!